The much anticipated film Subedar Joginder Singh’s release is just around the corner and a huge promotional campaign is underway across globe. Recently, the film’s team was seen in New York City, for the music launch of its track ‘Ishq da Taara’. The city of dreams is a home to substantial number of Punjabis. It has never happened in the history of Punjabi Cinema that a film’s music album has been launched at such a grand scale! Not only did the team launch its music in the Capital of the World, the makers also partnered with a NY- based organization, Sikhs of NY, who annually organize an event called the Turban Day at Times Square. Turban Day is an event which is held in order to educate the people across the globe about the nobility associated with Turban, which the Sikhs hold in highest regard. The event is about creating awareness among Americans and the rest of the world about Sikhism and Turban. The entire team of Subedar Joginder Singh joined hands with Sikhs of NY to support such a pious cause. 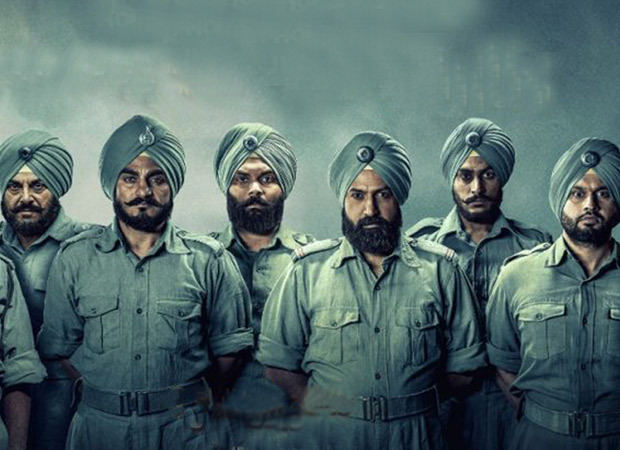 The film is inspired from the life and the true-to-life events and incidents of Subedar Joginder Singh, who was born in the Mehla Kalan village of Moga district in Punjab. It is about his life’s journey right from the onset of his career as a recruit in the British Indian Army to the legend he became after the Sino-Indian War 1962. The stories of his bravery were unsung and unheard of until this film came into light. This brave warrior immortalized himself when, despite being shot in the thigh, he single handedly killed dozens of Chinese opponents in order to safeguard the sovereignty of our nation. The story of this brave Sikh is something which every individual should know. There is no better medium than films to showcase and educate the citizens about what and how the nation has grown and developed. It is fortunate to see the capacity of filmmakers to make a film of such genre and subject on such a scale and then promoting it in a way that it addresses the concerns of its core audience as well. The film’s music was launched with a bang at the Times Square, where group of youngsters were seen performing electrifying Bhangra to the tune of ‘Gal Dil Di’ and ‘Ishq Da Tara’. It was indeed a feast to our eyes. Gippy Grewal and Roshan Prince have expressed their immense happiness to have supported Turban Day and launch the music of the film at Times Square. Subedar Joginder Singh produced by Seven Colors Motion Picture in association with saga Music and Unisys Infosolutions will be released on 6 April, 2018 worldwide. For Diana Penty, happiness is getting it all right with all brown – dress, brogues and belt!